With Save the Children’s Christmas Jumper day just around the corner, we thought it would be fun to ask the team to choose their top Christmas Jumper buys in 2018! 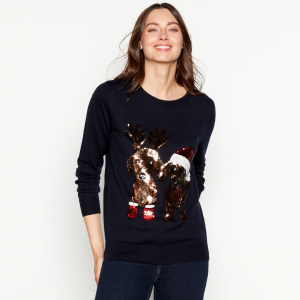 Since it is Lizzie Bennet’s first Christmas, it seems only fitting that Lorraine’s choice of Christmas jumper features a pup – find this one at Debenhams! Watch out on our social media channels for Lizzie’s very own Christmas Jumper! When it comes to Christmas Jumper’s Sam is very much a fan of going as crazy as possible as well as liking to support smaller business’! 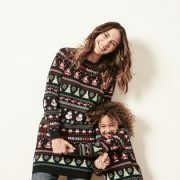 This one is from Notonthehighstreet.com and whilst you won’t be able to get this jumper in time for Friday – perhaps it could be on your radar for next year! 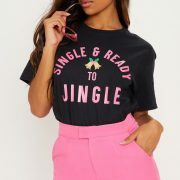 Courtney’s top pick is this festive T-shirt from Prettylittlething.com! Liking something a little quirky – and pink – this is the perfect pic that sums up her Christmas this year! 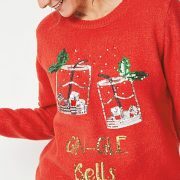 Sarah loves a Gin – so when it comes to a good value Christmas Jumper with a Gin Theme it was bound to be her top pick! Well done Asda – great price and great design! Jass likes a little sparkle and class, so this pic is a true winner from Monsoon. Whilst it has a bit of a price tag – it is something that can be worn again and again! As a mum of 3 Victoria does like a matching Christmas Jumper option and whilst Next has so many options – this one is her favourite! 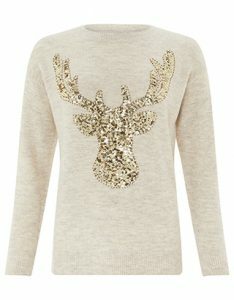 Another vote for a Christmas Jumper from Next! 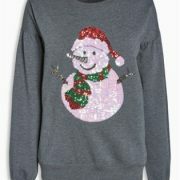 A classic design with a bit of sparkle – and a snowman! You really can’t go wrong! 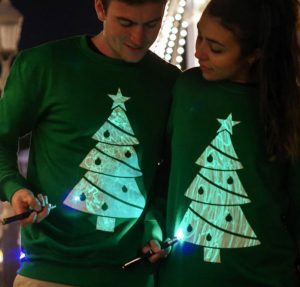 Jo decided to go rogue and chose a DIY Christmas Jumper as her favourite! 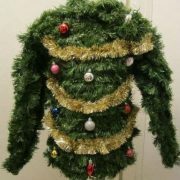 With many similar jumpers on pinterest – if you want to go above an beyond on Christmas Jumper Day this is bound to get some attention! Be sure to follow us on our social media channels for our Christmas Jumper Team picture on Friday! How to Survive the Office Christmas Party This Week’s Top Jobs!